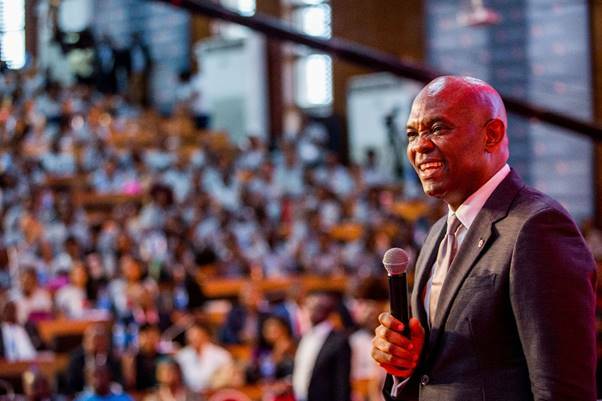 Tony Elumelu, former Group Managing Director and CEO of United Bank for Africa (UBA) has urged president Muhammadu Buhari to improve electricity so entrepreneurship can thrive. He said this at the unveiling of 3, 050 successful applicants of the Tony Elumelu Foundation (TEF) on Friday, in Abuja. In the report by NAN, Elumelu said that entrepreneurship is the way to go at impacting on humanity and growing the continent, hence it was important to invest in it. “We should contribute our quota to humanity as we do in the foundation. Elumelu told of how the foundation has spent about 50 million dollars in the last five years to empower 4,470 African Entrepreneurs. “We spend like 10 million dollars every year. It’s (TEF) a ten year commitment. Each of the 3,050 entrepreneurs is receiving seed fund of $5000. He called for partnership between African governments, local and international agencies and investors. Director of Partnerships and incoming CEO of the foundation, Ifeyinwa Ogochukwu, the Director of Partnership disclosed that only 1000 participants will be funded by the foundation while partners fund the rest 2,050. “Out of the 3,050 successful candidates, 1,000 would be directly funded by the Foundation and an additional 2,050 supported by the its partners. United Nations Development Programme (UNDP) is sponsoring 754 candidates with 1.4 million dollars and International Committee for the Red Cross is sponsoring 180 with 900,000 dollars commitment. Botswana, 20 candidates with 100,000 dollars and Anambra State Government is sponsoring 15 candidates,” she revealed.